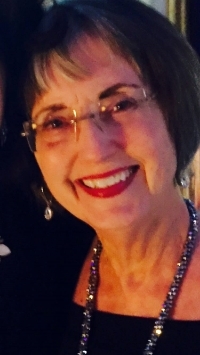 USA Today Bestselling author, Ann Major, has published sixty-nine contemporary romances in multiple genres and in many countries all over the world with Silhouette and Harlequin. Most recently she has published Secret Child (Book 8 of Texas: Children of Destiny) as an e-book. In addition, she’s published Wild Lady (Book 1), The Fairy Tale Girl (Book 2), and Meant to Be (Book 3) the first three books in her Men of the West series as e-books. Two novellas and two free short stories are also available as e-books. A founding board member of the Romance Writers of America, Ann is also the coauthor of the article "The Contemporary Light Romance" which has been collected in the book Writing and Selling the Romance Novel. A native of Texas, Ann attended Del Mar College, the University of the Americas in Mexico City and the University of Texas in Austin from which she received a B.A. in English and Spanish. She holds an M.A. in English and Spanish from Texas A & M University in Kingsville, Texas. She has taught both on the secondary and college level and is an experienced speaker. Besides writing, Ann enjoys her husband, her grown children, her grandchildren, her cats, paddle- boarding, kayaking, hiking, and sailboat racing. These precious experiences inspire her to write. Most recently Ann has launched Major Press LLC which will be publishing many titles from her back list as ANN MAJOR CLASSICS, including her popular series Texas: Children of Destiny, as well as new original titles. She is currently at work on a brand new series set in South Texas on a large legendary ranch. Love With An Imperfect Cowboy (Book 1 of her Lone Star Dynasty series) launches April 2016.